Dr Dalal studied at Charing Cross and Westminster Medical School and graduated with an honours degree in pathology and medicine (MBBS) in 1993/1996. He trained at Hammersmith Hospital, Oxford Medical rotation and then at Royal Brompton/Harefield and Mount Vernon Hospitals (cardiology and oncology) and completed Radiology training at Guy’s and ST Thomas’ Hospitals , The Royal Brompton Hospital and The Royal Marsden Hospital. In 2007 he was appointed as Cardio-Thoracic Radiologist to The Harefield Hospital. He is Clinical Lead, and lead for thoracic, ITU, PET/CT (oncology) and Transplant imaging and Image guided intervention. 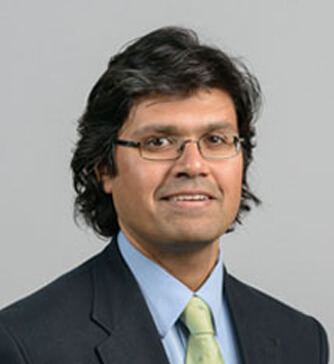 His interests include thoracic imaging, coronary artery and TAVI CT and oncological imaging and thoracic interventional techniques. He set up and leads The Harefield Lung Tumour Ablation Unit (which is the first and only dedicated unit for ablation primary and secondary lung tumours for both NHS and private patients). This will soon be run in in conjunction with King Edward VII’s Hospital.